NOTICE: This is a Private Organization. It is not part of the Department of Defense or any of its components and it has no governmental status. The 'AFTAC Alumni Association' provides a forum for those wishing to maintain a relationship with the center and its people, active-duty and retired. 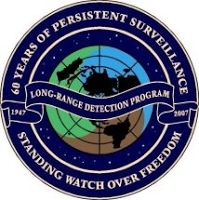 Membership is open to past/present employees of all organizations associated with Long Range Detection, (AFMSW-1, 1009th SWS, AFOAT-1, 1035th FAG, 1035th TOG, LRDAA and AFTAC), and any subordinate field detachment. All postings included on this Florida AFTAC Alumni Association Website are purely informational and none of its contents are intended, nor can be considered, as being directive in nature. Participation in any posted events in this website, are solely at the discretion of the reader. This informational data that is provided is checked for accuracy and correctness by our organization, but in the final, it is incumbent on each reader to verify the validity of any of the data posted. The AFTAC Alumni Association, its officers, members and volunteers and the originators of posted articles cannot be held responsible for any personal injuries or financial loss to those individuals participating in, or responding to, any posted events or informational data. This includes, but not limited to, the loss of monies due to cancellations or rescheduling of such events or for any personal physical or financial losses caused by any inaccurate posting to any person attending or responding to the events posted here. Our site contains links to other websites or content belonging to or originating from third parties. While we make every attempt to monitor and check such links for accuracy, adequacy, validity, reliability and availability of completeness, the AFTAC Alumni Association, its officers, members and volunteers and the originators of posted links cannot be held responsible, in any way, for faults in any of these links. By entering this website, you indicate your agreement with these terms.